If you’re thinking about learning a new language, you may have different reasons motivating you. Perhaps you want to communicate better with a certain person or group. Maybe you want to enhance your career prospects or be able to travel overseas with greater confidence. I’m willing to bet that changing the way you think wasn’t high on your list of priorities. But beyond boosting your resume and expanding your communication skills, learning a language comes with surprising cognitive benefits. In fact, it can change the way you look at life and even reorganise your brain! Let’s take a closer look. Did you know that learning language is one of the most complex functions that our brains have to handle? Just watching toddlers absorb and process words as they grow can be enough evidence of this. So, when you rise to the challenge of learning a second language, you’re expanding your brain’s total capacity and memory. Seeing as you have double (or in some cases, more) the vocabulary to remember, you challenge your mind in ways you never thought possible. But that’s not only useful when it comes to speaking a foreign tongue. Studies have shown that languages help us remember non-related things, as well, such as dates, times and numbers. Learning a new language can improve your multi-tasking ability. It enables you to think differently because you can think deeper. It’s been regularly proven that bilingual people are better than monolinguals at multitasking. Why is this? It’s likely that the ability to switch back and forth between languages has something to do with it. When you can dig deep into the resources of your mind, you’ll be able to work more efficiently, think bigger and become more productive. With so many interferences in the form of social media sites, apps and chats, it can be easy to get distracted. So, you might be interested to hear that learning a new language can help you to tune out distractions. How so? Learning a language improves your concentration, which makes you less likely to succumb to distractions as a monolingual speaker. You can get tasks done quicker and be more effective in both your professional and personal life. Emotional intelligence is one of the most sought-after qualities these days. It’s even more important than IQ, seeing as how IQ only accounts for about 20% of your success in life. When you learn a new language, you leave yourself open to discovering new cultures and deepening your understanding of how different people see the world. This makes you a more valuable asset in the workplace as you can work with multicultural teams. You can apply big-picture thinking and understand that there is more than one way of completing your goals. So, if you’re thinking about learning a new language, but find yourself delaying, be sure to move it to the top of your priority list today. Not only will you get smarter, more open and build your communication skills, but you’ll also end up with a tonne of other cognitive benefits and change the way you think for good. 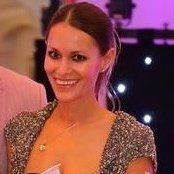 Christina Comben is Content Manager at translation and medical translation services specialists, Day Translations. Multilingual and qualified to MBA level, Christina is passionate about writing, travelling and continued education.